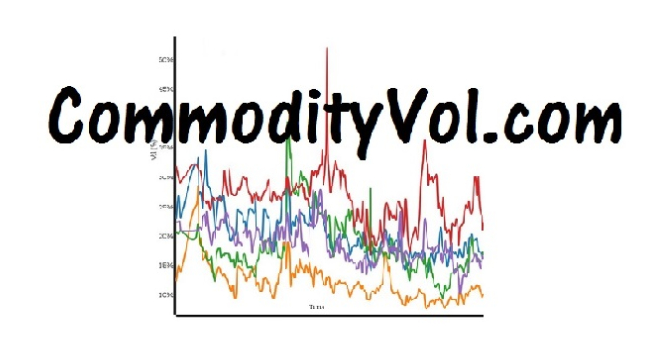 This a plot of the implied volatility of the option versus the simple moneyness of the option. The Y axis is the implied volatility from either the Black, BaroneAdesi or Bachelier model. The X axis is defined as simple moneyness, strike / underlying price. There are a lot of listed skews, sometimes there is no trade or only one strike is active. You may see and empty plot because of this. There are currently two calenders; Business and Actual. We use assumptions similar to the CME for day counts. There is currently no mechanism to adjust the European curves (Rapeseed on EuroNExt-for example) for US time. A European date is typically temporally older than the same US date.